The number of people killed or injured through drink-drive crashes increased dramatically in 2016, leading to urgent calls from road safety experts for immediate and concerted action. 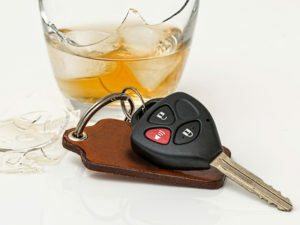 Provisional estimates from the Department of Transport suggest that between 200 and 280 people were killed in accidents in Great Britain where at least one driver was over the drink-drive limit, with a central estimate of 240 deaths. The DfT added that this is a statistically significant rise. The figures released today by the DfT also indicate that 9,050 people were killed or injured when at least one driver was over the drink-drive limit. This represents a statistically from 8,470 in 2015, and is the highest number since 2012. The total number of collisions and accidents where at least one driver was over the alcohol limit rose by 6% to 6,080 in 2016 – again classed as statistically significant. In response, IAM RoadSmart said we need more targeted policing and a lot more driver education regarding drinking and driving. IAM RoadSmart also reiterated its call for compulsory drink-drive re-education courses for all who are caught driving over the limit. The RAC also called for urgent action. Road safety spokesman Pete Williams said: “We need more communication on exactly what the current strategy is for tackling a crime which can have such devastating consequences. The police also need to have the resources they need to robustly enforce the law and make our roads a safer place – the sharp fall in dedicated roads policing officers we have witnessed in recent years has surely not helped.